One person at a time will be invited to have a karaoke session with the performer in a private room. The participant will choose a song from a list of classic tunes and then he/she will sing it together with the performer. 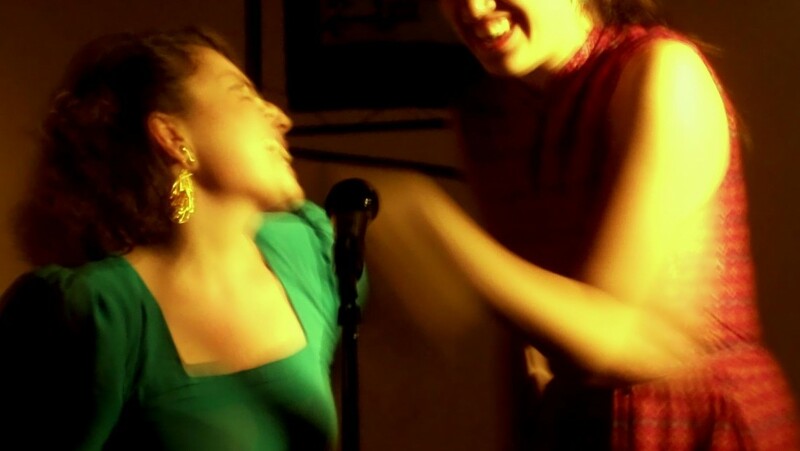 The performance follows the aesthetic and political project of “relational aesthetics” by proposing an interactive setting: artist and participant will share a moment of direct connection and intimacy by singing a song together. The performance is part of the artist’s research project called Acting Intimacy in the MA in Theatre and Performance at Lancaster University, supervised by Dr Andrew Quick. The objective of the research is to explore a form of acting based on the interaction between actor and spectator within the genre of one-to-one performances. Presented as part of OPEN 2015: What Is A 21st Century Arts Centre? Art Centre/Network Centre Week. Come along and participate at any time between 3-5pm... If you require a specific time (performances last roughly 10mins) please do let us know at the time of booking.